This book is not going to praise object-oriented programming or condemn the Old Way. 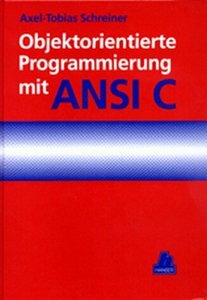 It's simply going to use ANSI-C to discover how object-oriented programming is done, what its techniques are, why they help us solve bigger problems, and how we harness generality and program to catch mistakes earlier. Along the way we encounter all the jargon - classes, inheritance, instances, linkage, methods, objects, polymorphisms, and more - but we take it out of the realm of magic and see how it translates into the things we have known and done all along.